In 2009, women accounted for just 24 percent of bicycle trips in the U.S. It’s time for that to change. That’s why the League launched Women Bike — the first national advocacy initiative to encourage, engage and elevate more women bicyclists in the United States. The popularity of bicycling is skyrocketing nationwide and interest among women is rising, too. More than 80 percent of American women have a positive view of bicyclists and two-thirds think their community would be a better place to live if riding a bike were safer and more comfortable (Princeton Survey Research Associates national poll, September 2012). 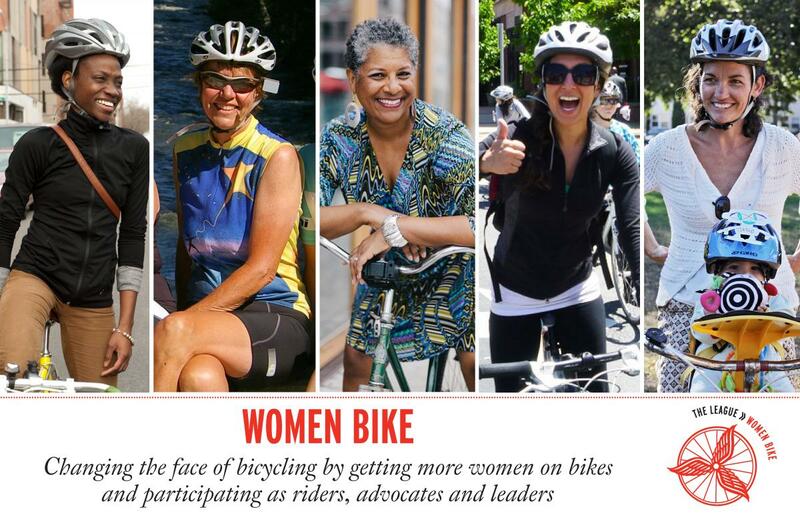 Still, women are underrepresented as riders and leaders in many aspects of the bicycle movement. As the energy and interest to get more women on bike grows, we need to share our collective knowledge, build a network of female leaders and start working on targeted programs that put more women in the saddle and at the forefront of the movement. 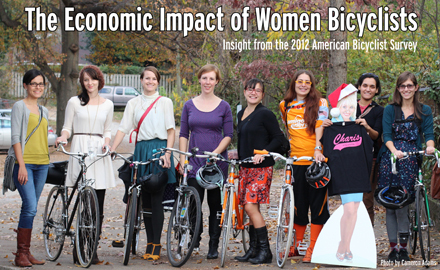 The purpose of Women Bike is to serve as a central source of information, inspiration and community. Creating pathways for women of diverse backgrounds to embrace biking as an everyday activity that improves lives, and changes perspectives on how we move through our communities, our world and our lives. 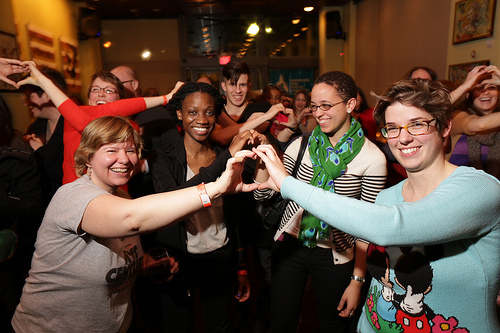 To change the face of bicycling by getting more women on bikes and participating as riders, advocates and leaders to create strong communities and celebrate the joy of riding a bike. We believe in the power of women to create change. We believe that by uniting our efforts we are stronger. We believe that women should be equally represented in the industry, in advocacy and in retail. 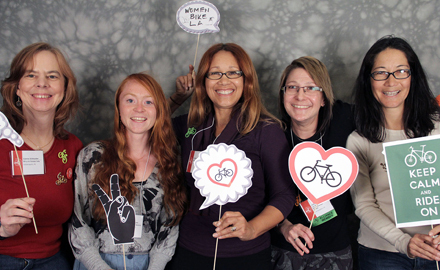 We believe biking should be accessible to women of all backgrounds. Liz is the founder of WE Bike NYC and currently the Adult Programs Manager at Bike Works, Seattle. Liz started teaching over 10 years ago, working both in and out of classroom settings. When she moved to New York City for graduate school, she decided to pick up work as a bicycle mechanic to balance out her studying. She soon began to see the connection between her studies in Sociology of Education and her job as a bicycle mechanic. Liz sees bicycles as a tool for personal and social transformation. WE Bike NYC grew out of this realization and offered an opportunity to build community in NYC inclusive of many people traditionally excluded from the cycling world. She created targeted programs working with Latina women and moms as part of WE Bike NYC. Liz moved to Seattle in mid-2014 and is currently building educational programs for adults and youth at Bike Works. She teaches everything from bike mechanics to bike touring and is thoroughly enjoying the trails, trees and adventures that Seattle has to offer both on and off the bike. After completing her law degree at the University of Denver, Dorothy went to work for USA Cycling and has been in working in the cycling industry in some capacity ever since. Dorothy was brought on board to start Cycling’s original NORBA series, a seven race national series. She was in charge of running the series and managing grassroots MTB events nationwide. She also started the National MTB Patrol program in conjunction with the National Ski Patrol. Since her time at Cycling, she has been a UCI International Commisaire and USA Cycling National Commissaire, participating annually in domestic and international events. Her following career moved landed her at Yeti Cycles in Durango. She was brought in as the purchasing manager, but very quickly, found herself as the manager for Yeti’s professional race team. This assignment took her around the globe where she organized and supported Yeti’s race team effort in total. Dorothy worked for Todson, where she was the Director of Event Marketing. Her duties were not limited to events and relationship management but also handling the identities, social media and web pages for all of the brands under the Todson umbrella. Dorothy currently works for shebeest as the National Sales Manager. She lives with her husband, Brad, in Denver. Nicole is the Managing Director of Tour de Cure, a fundraising campaign with 90 cycling events nationwide that has grown from 26,000 riders to more than 62,000. Through the Tour de Cure, Nicole promotes cycling to new audiences as a means to improve health and reduce the incidence of diabetes. Nicole rides regularly, in various modes: at low speed with family on the paths around the Washington, D.C. area, at moderate speeds in various cycling events around the country and in high-speed pace lines on timed segments. Nicole is also on the League's Board of Directors. With 30+ years of leadership and organization development experience, Lori serves as the Director of Organization Development for Quality Bicycle Products, helping QBP grow as an extraordinary business through vision, purpose and core values, clarity of expectations and direction, and effective internal communication. With QBP for over 13 years, Lori is a passionate life-learner and uses her own mistakes and human frailties as a springboard for personal and company growth. Lori has an MA in Org. Leadership, is a committed bike-commuter, and learns how to be a better person from her dogs and her son. 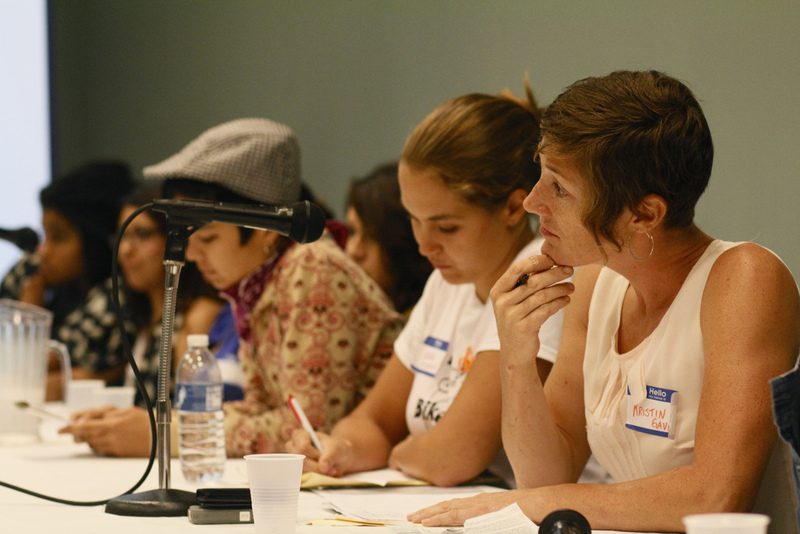 Leah Shahum has served as Executive Director of the San Francisco Bicycle Coalition since 2002. For four years prior, she was the SFBC's Program Director. Before coming to the SFBC, Leah worked as a journalist for a local newspaper and a national magazine. She graduated from Duke University in North Carolina with a degree in political science and a focus in women's studies. Leah most recently served on the Board of Directors of the SF Municipal Transportation Agency. She previously served for five years on the 19-member Board of Directors of the Golden Gate Bridge, Highway, and Transportation District. She is also a San Francisco representative to the state Democratic Party. Caroline Samponaro is the Senior Director of Campaigns & Organizing at Transportation Alternatives New York City's leading transportation advocacy organization, with a citywide network of tens of thousands of supporters committed to reclaiming New York City’s streets for people by ensuring that every New Yorker has safe space to walk and bike and access to public transportation. Caroline is one of the nation’s foremost advocates for urban bicycling and has spearheaded New York City’s rapid transformation into a bicycle-friendly city since 2006. Caroline has directed campaigns that address all areas of bicycling, from developing new neighborhood bike lane networks, encouraging growth in the number of daily bike commuters, to leading national roundtables of experts on public bike share systems. Caroline is frequently quoted in the New York Times, Bicycling Magazine and New York Magazine, and she is a sought-out speaker on urban bicycling culture, the growth of cycling among women and the history of bicycling in America. Caroline lives in Brooklyn and holds a BA in Cultural Anthropology from Columbia University. Since her first mountain bike ride, Sarai has spent much of her time advocating for and working in the cycling industry. While running a bike shop she noticed the need to get more women riding bikes. She soon founded Girl Bike Love and created CycloFemme, a Global Women's Cycling Day. 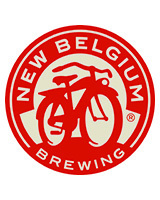 Sarai now rides and resides in the cycling mecca of Boulder, Colorado. 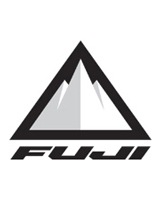 Elysa Walk joined the bicycle industry in 2004 with Giant Bicycle, Inc. Prior to that, she worked in the software industry as an Operations Manager, running the operations of a fast growing telecommunications management software company for 10 years. Elysa took full responsibility for Giant USA as General Manager in 2007. Since that time, she has grown the company by forty percent, and has launched many ground-breaking initiatives, such as a women’s specific bicycle brand called Liv, and the “Link” annual Giant dealer convention. She is known for making Giant a great place to work and fostering a coveted employee culture. Elysa serves on the boards of Bikes Belong and the Bicycle Product Suppliers Association, which includes now serving on the Executive Board of People For Bikes as Treasurer. While a graduate with a bachelor’s degree in Business Management from the University of Southern California and an MBA from Pepperdine University, Elysa is first and foremost a cyclist of all kinds. She can often be found riding roads, cross-country mountain trails, gravity parks, or just her local commute. She completed the Tour de Taiwan, a 600-mile ride around the island of Taiwan with the Giant executive team in 2011, and regularly participates in Giant-sponsored triathlons or charity rides. Elysa has a bicycle family, and is regularly riding with her husband and two teenage children. 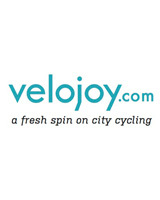 Susi Wunsch is founder of the New York City-based website velojoy.com, a growing online source of news, events, how to's and stylish gear for city cyclists and the "bike curious." The site is dedicated to attracting more people to riding bicycles by demystifying and celebrating the joys of two-wheeled transportation. Wunsch, who has a background in marketing and freelance writing, serves on the board of directors of the New York City advocacy organization Transportation Alternatives and supports a variety of pro-biking causes. She also contributes to Bicycling and Momentum magazines. Wunsch joyfully uses her bicycle, as well as Citi Bike share, for year-around transportation and is a weekend road cycling enthusiast. And spread the word to your friends and family!